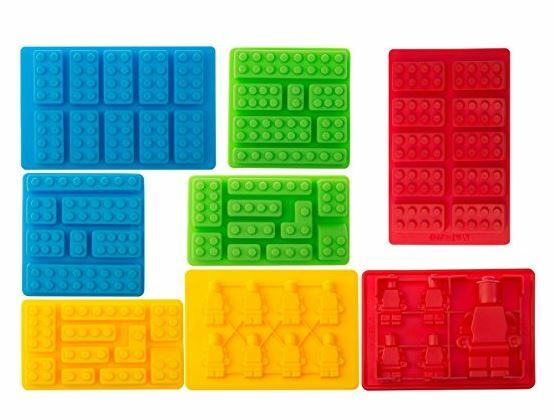 Get this Lego PREMIUM Silicone Molds – Building Blocks and Robots (Set of 8) for $11.97. This is the Best Price we've seen by $3. MOLDS – 8pc Deluxe Value Pack Set with Vibrant Holiday Colors (2Red, 2Blue, 2Green, 2Yellow, Product colors exact as shown on picture) STURDY and HEAVY DUTY construction (8pc combine weight approximately 1.20 LBS), Makes AMAZING Robots and Building Blocks!!! PROFESSIONALLY MADE FLEXIBLE NON-STICK SILICONE MOLDS- Non-Stick Silicone easily releases Chocolate Candy Figures or ice cube Figures with a simple twist, Silicone Molds won't crack or break like stiff plastic molds; Easy to fill, easy to use, easy to clean and is a must have kitchen gadget for kids entertainment.